Observation - Fritillary - UK and Ireland. 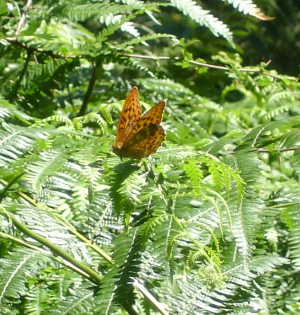 Description: Unknown fritillary butterfly. Seen on a sunny afternoon in woodland with dense undergrowth and old oak trees. The date does not seem to correspond with the flying period of the fritillaries one might expect here. Unknown fritillary butterfly. Seen on a sunny afternoon in woodland with dense undergrowth and old oak trees. The date does not seem to correspond with the flying period of the fritillaries one might expect here.